Carol Corrado is senior advisor and research director in economics at the Conference Board, where her primary focus is measuring intangible capital and studying innovation and economic growth. She also works with the Conference Board’s China Center for Research on Economics and Business on measuring and analyzing industrial capacity utilization in China. Corrado is a member of the executive committee of the NBER’s Conference on Research on Income and Wealth and is an organizer of a workshop on economic measurement at the NBER’s annual Summer Institute. Corrado authored key papers on the macroeconomic analysis of intangible investment and capital, including the winner of the International Association of Research on Income and Wealth’s 2010 Kendrick Prize (“Intangible Capital and U.S. Economic Growth”) and a paper in a volume she co-edited, Measuring Capital in the New Economy, published by the University of Chicago Press in 2005. Her research on intangibles and innovation has been cited in the popular press, including Businessweek, the Economist, and New York Times. Since joining the Conference Board in 2008, Corrado has been the recipient of two grants for innovation research from the National Science Foundation. 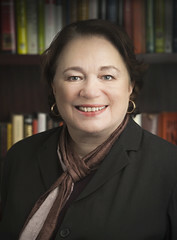 Prior to that, she was chief of the industrial output section at the Federal Reserve Board, where she managed a research program that studied the drivers of productivity and technical change and worked to improve the measurement of information and communications technology prices, and of industrial production and capacity utilization. She received the American Statistical Association’s prestigious Julius Shiskin Award for Economic Statistics in 2003 in recognition of her leadership in these areas and was a recipient of a Special Achievement Award from the Board of Governors of the Federal Reserve System in 1998. Corrado holds a Ph.D. in economics from the University of Pennsylvania and a B.S. in management science from Carnegie-Mellon University.